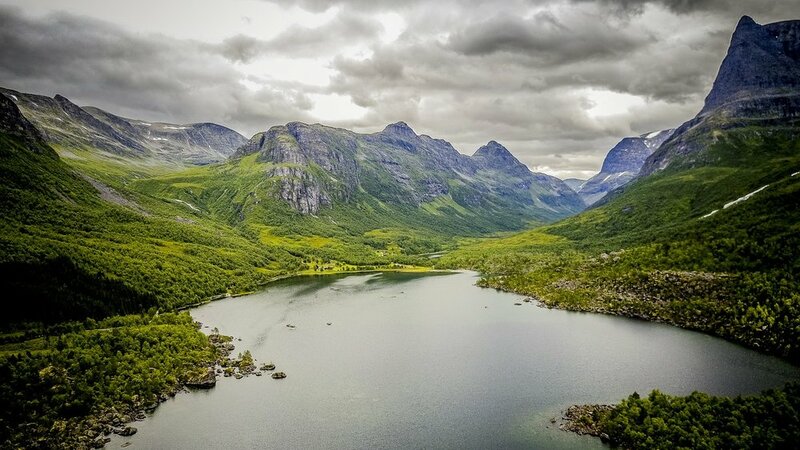 Innerdalen is often referred to as the most beautiful mountain valley in Norway - quite a statement in such a stunning country! 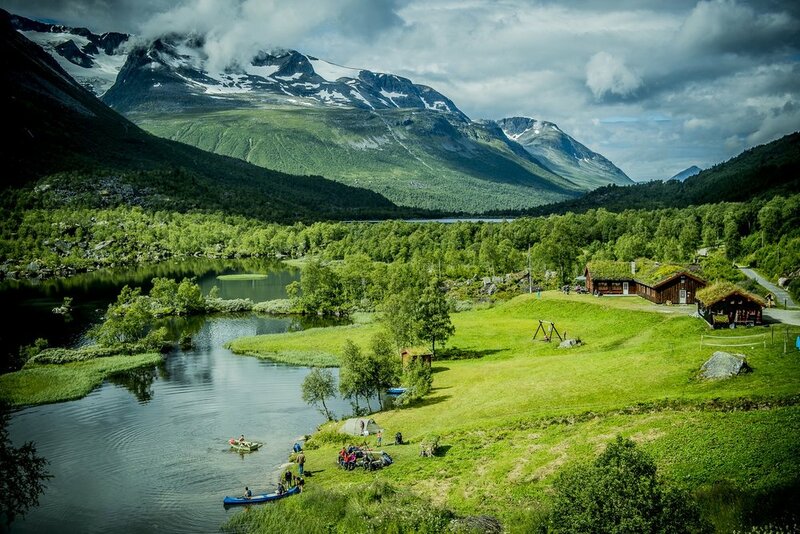 Located close to the town of Trondheim, this is a paradise for hikers and mountain climbers. The valley is dominated by the spectacular conical peak of Dalatårnet, which rises to 1,394m above sea level. Below is the crystal clear water of the lake, into which fresh mountain streams cascade. 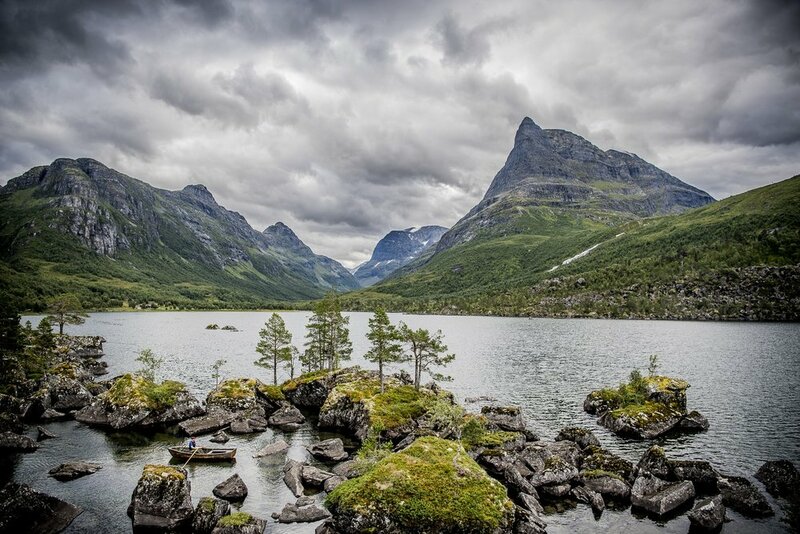 The valley was established as Norway’s first nature reserve over 50 years ago in recognition of its natural beauty. Beautiful waterfalls cascade over the rocks towards the crystal clear lake below. Even in overcast weather, the valley has a serene beauty - a place to escape from the stresses of modern life. The valley is a haven for wildflowers and wildlife, and as a designated nature reserve enjoys special protections to ensure that it is preserved for future generations. Wooden cabins for tourists to stay and enjoy the valley year-round. Kayaking and canoeing on the water are also popular activities. A nice place to find some peace and quiet! Innerdalen is also a paradise for budding photographers - look at the way the light falls across the valley sides in this picture. The last remaining snow on the mountain peaks adds to the dramatic effect.